Dripping taps, or running toilets keeping you awake? A dripping tap or a leaking toilet can create a persistent and nagging noise that is very irritating. You don’t have to live with the frustration of either of these situations. Along with being annoying and distracting, leaking taps and toilets can be a waste of water and cause increases in your water bills. They can also be easily fixed and for reasonably cheap prices, depending on the materials you choose to replace with. We use Reece Plumbing Supplies as our preferred supplier of products. They have great warranties and their products are of the best quality. They have a range of products to suit all budgets so taps and toilets can be fixed or replaced to suit you and your budget. Give us a call to find out more! There are many things that can be done to service taps and toilets or to replace them. The following is a range of jobs we regularly perform. There are many problems that could be causing issues with your taps and toilets. Our experienced team are the best people to solve your problems in the most cost effective way. What should I do if I suspect a water leak? Check the reading on your water meter. Record it and then check it again in 1-2 hours (making sure no water is used in between). If the reading is higher, you may have a concealed leak. How do you service leaking taps? We won’t recommend a full tap replacement unless it is necessary. 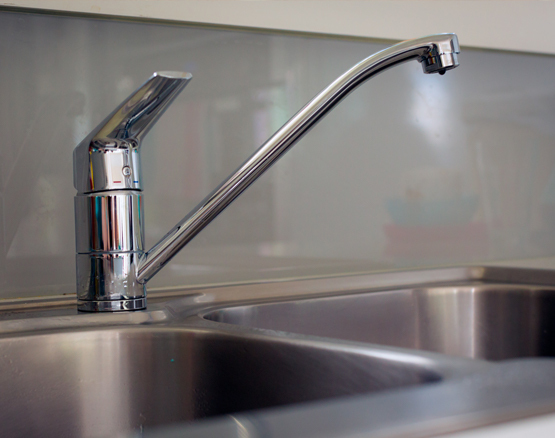 Our plumbers will be able to tell if the taps require just a service or will recommend replacement if it is required. What if I’m getting low water pressure? It may be as simple as your taps requiring a service, or the valve might be isolated underneath. Our plumbers will be able to solve this problem, give us a call and we can help. It is most likely that one of the valves or rubbers have failed inside the cistern. We can investigate to find the fault and then replace the required parts to get your toilet fixed. "Extremely professional and helpful. The service was prompt and he responded to my call immediately (which is important when it’s a toilet issue). He was friendly and talked through the problem so I knew exactly what was happening. He fixed the issue on the day. I would recommend TASM Plumbing to anyone." NEED A QUOTE OR HAVE AN EMERGENCY? We service from Nowra to Bulli and the Southern Highlands.